Expert Writer Finally Reveals Her Top Secret Process to Create a New eBook in Under 6 Hours From Your Idea! Even if You've Never Written a Single Word Before. Still an amazing price! - Act fast! My name is Mialei Iske. 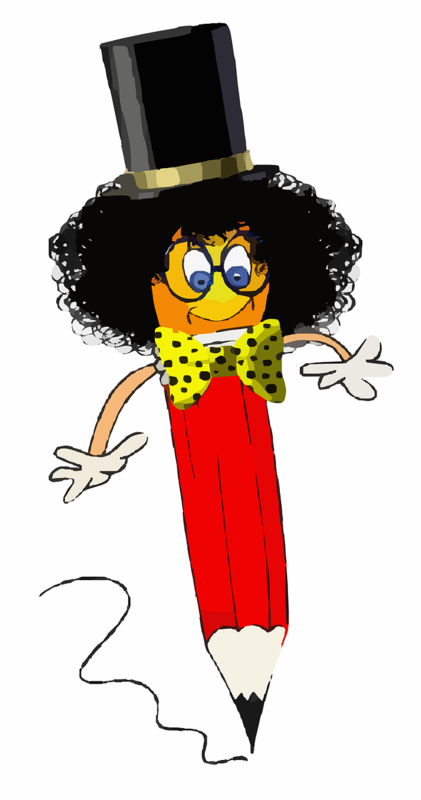 I have been a freelance writer for five years. In my first couple of months as a writer, I would slave over a simple article and send it off to the client for rave reviews. The reject notice would come back so fast that I would think the email system was rejecting my note. Every client has the exact idea of what was ordered in mind. Writers are required to guess right every time! I had to learn to read minds -- and fast! I found it fascinating that an order from a client never provided a clue about that exact idea. The stress of guessing was making it even harder to think about my writing. as simple as writing articles? Most days, I felt as though anything more than 400 words was a day’s work. Long articles made me cringe because I had to repeat myself to make up enough words. Clients hate that! 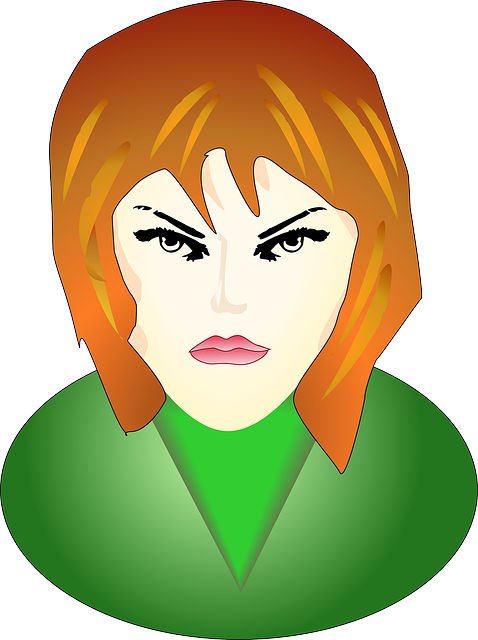 My stress level was unbearable whenever I found an order from a client that had never seen my writing style or ability. I needed answers to my questions not more criticism. “you can’t write your way out of wet paper bag!”? Many of those clients had no time to offer useful feedback for my writing. I discovered that few people wanted to help me learn anything. Each one expected to find writers who could crank out high-quality text in record time. People who lacked my education and experience were making a good living writing nonsense. I am trying to make this too hard. There were days that I spent more time looking for another way to make money than actually putting words on a page. I hated sitting at the computer struggling against my own fears of being rejected – AGAIN! I had to figure out how to stop putting off the obvious solution. I was going to have to follow the herd. They weren’t staring at a blank screen. I was going to have to invent my own ways to dazzle readers without asking their permission. How was I going to do that? Where was I going to find examples?" Who would answer my questions? Even my friends are amazed at the progress that I made in those first few months. More than one said that they would have walked away in frustration. My clients sure sat up and took notice. I had no choice! If I was going to earn any money, in this economy, I had to stick with the struggle and move my own walls. My writing was easier because I trusted my instincts and read everything I could find on many different subjects. I did learn that the best writers are also avid readers. The subject of my reading was less important than spending time in books, blogs and interesting websites. I figured out how to find examples that would support my writing ideas. I created methods that let me write any length of article, or eBook, without struggling against writer’s block. I was on my way! One of the most mind-boggling discoveries was the fact that nothing, absolutely nothing, on the Internet is original. Some people are just better at copying than others. Place your ideas in the order that speeds your project to completion! Write more and edit less! Do you believe the most important part of writing is putting words on the page? Would you believe me if I told you that feeding your mind is even better? 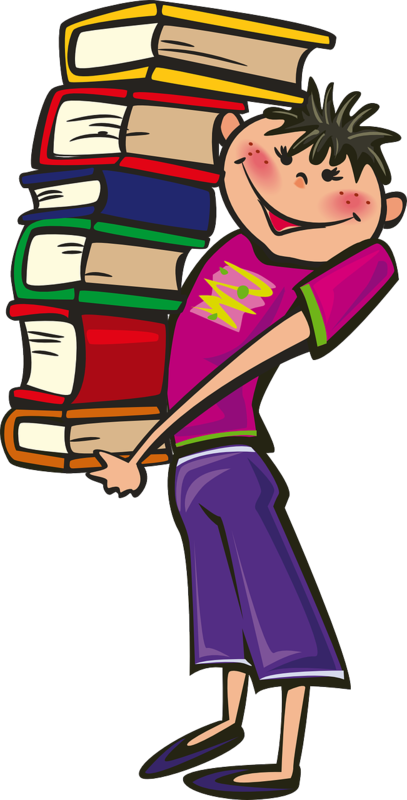 Write an eBook in one day when you follow my proven process! Now, before you scoff, let me ask you a question. 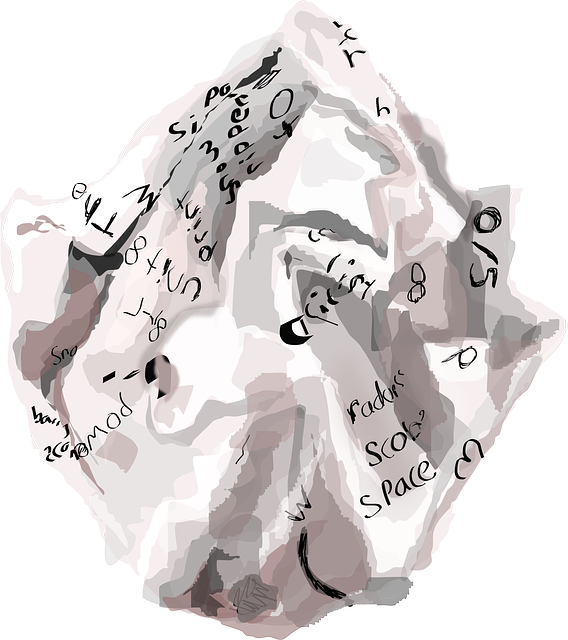 Do you know what caused you to give up on your last writing project? I would bet that you do not even know what makes you so frustrated that you never want to write another full sentence. You might even be wondering how you ended up still reading this page. I know why you give up writing before you complete your projects! 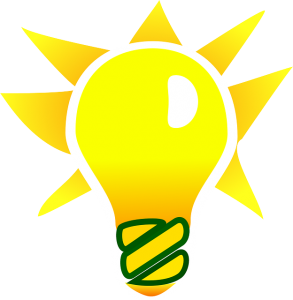 Discover the easiest way to go from idea to eBook without frustration. Never again stare at a blank screen or finally, walk away in defeat! I will show you how to invert the standard approach to writing so that you never encounter writers’ block again!! 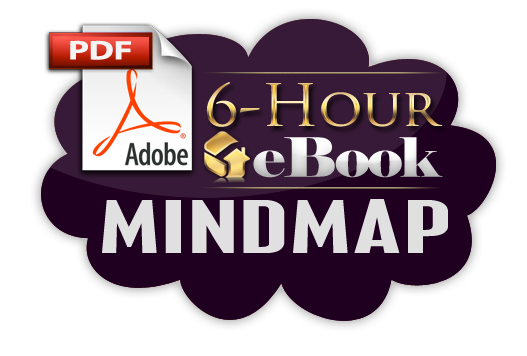 6-Hour eBook reveals the approach I use to create eBooks on countless topics for my clients each year. You will discover the importance of filling your mind about your topic. Writing words on a page is not the same as generating meaningful prose that engages your reader. 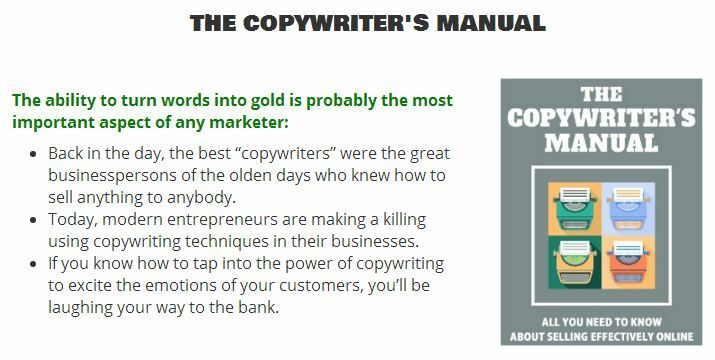 Every step outlined in 6-Hour eBook has been tested in my writing business over the years. I rearranged each step until I discovered the fastest way to produce a publishable eBook in a few hours. A worksheet and checklists to guide your effort have been provided to ensure that you are able to keep track of your writing project. Your project will not die before you finish when you take the time to print these guides and complete each one! Templates that provide a framework for your eBook writing process. Instead of creating your own documents from scratch, you will have a time-saving starting point. These helpful guides ensure that you step through the eBook writing process in the proven order of steps. You will print these sheets before you begin. In this analogy, the eBook writing process parallels the construction of a house. You will learn to repeat the process because each step ties to the major phases of building a house. Additional insights are added to each chapter to enhance your learning experience. Listen as the author encourages you to follow the process. Improve your writing when you follow the steps inside 6-Hour eBook. standards and quality of ebooks people produce. report or ebook on any subject. I've just read through your 6 hour ebook. on the subject that I've come across in over 14 years online! Congratulations on covering the topic with such a common sense analogy. 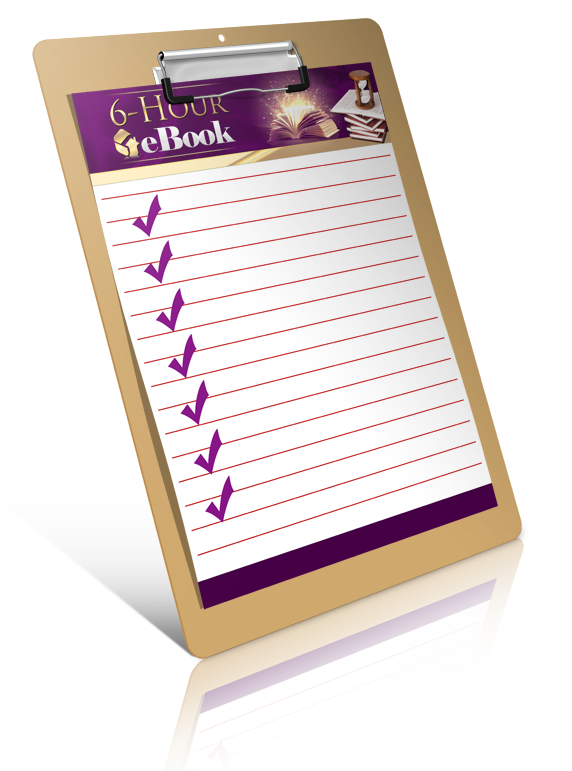 6-hour ebook is a practical but fun approach to what has always seemed a daunting task. I really appreciate the way the course is organized because it breaks writing an ebook down into manageable tasks that make me feel empowered. So many of my projects wind up sitting unfinished. Now I can finally see a clear path from 'idea' to 'final product'! 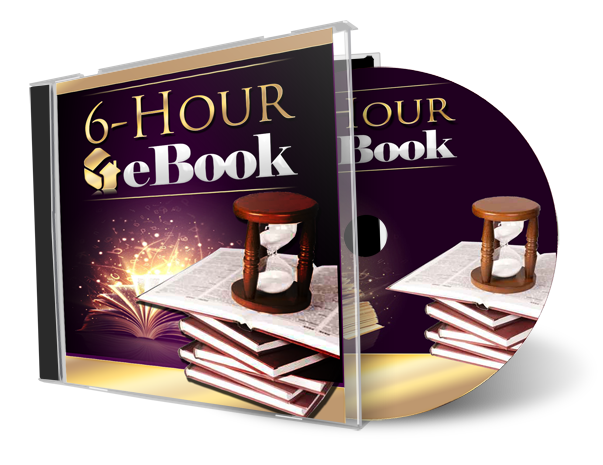 To prepare for your effort to write your eBook in 6 hours. 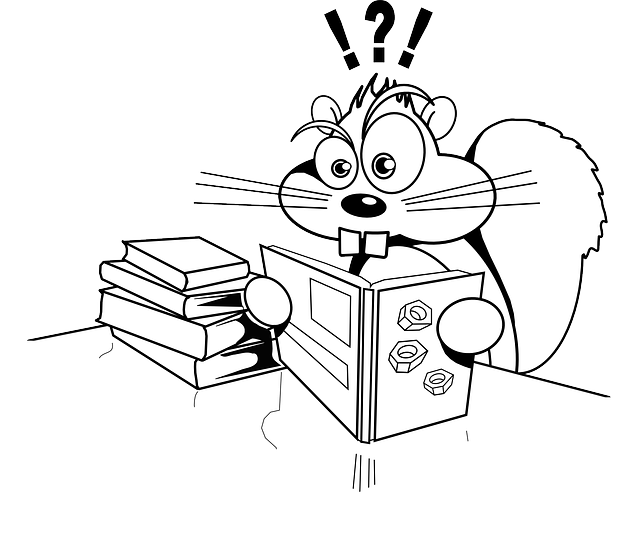 To conduct research at the right point in the eBook project. To focus your thoughts and avoid interruptions. 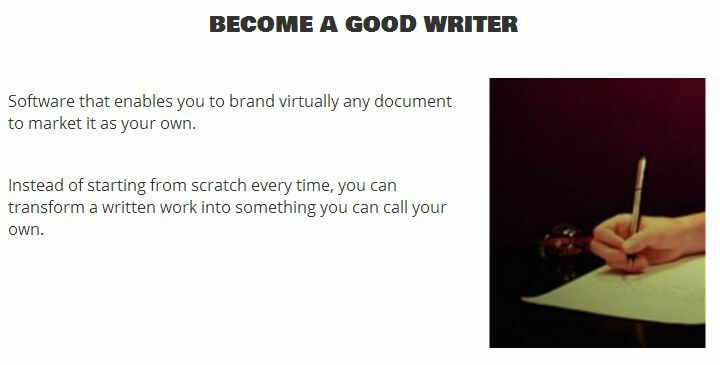 To incorporate your professional and life experience into your writing. To increase your concentration level and track the thoughts that would distract you. 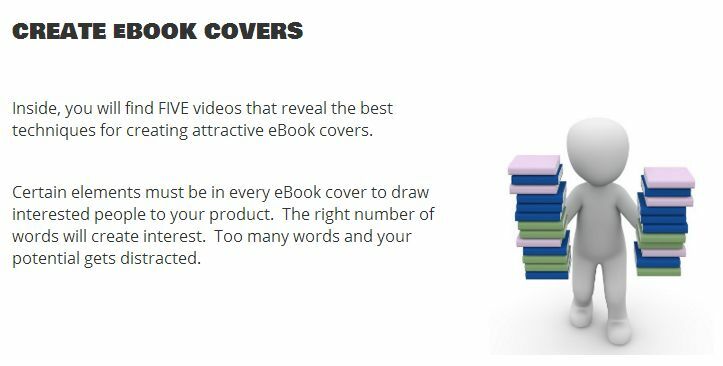 To include important visual attributes to improve your reader’s experience with your eBook. Let me share a secret with you! 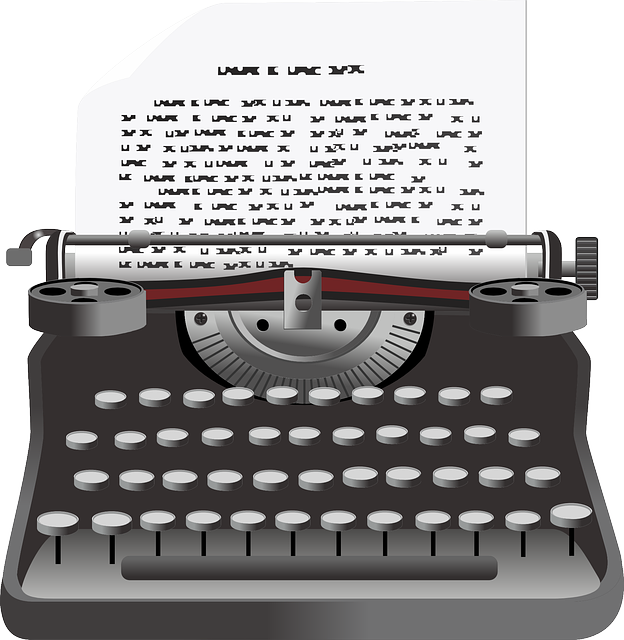 Writing a great eBook is not as difficult as you might think. You might have struggled to write an entire eBook in the past. Maybe you gave up before you even started. You can start with 6-Hour eBook and discover the best approach for your personal style. Improve your writing through some surprising approaches that reduce the difficulty many writers face. Many novice writers make the mistake of writing the eBook first and then attempt to edit the text later. 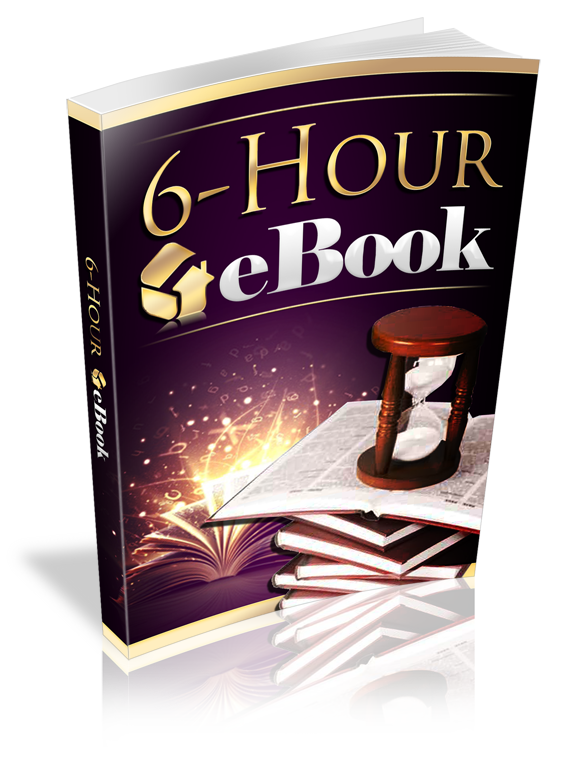 Readers of 6-Hour eBook will learn the easier way to write an entire eBook in 6 hours. Inside 6-Hour eBook you will follow the steps I use every time I write an entire eBook in just one day. I will reveal every step you will want to take to organize the supporting material about your topic. Nothing will be withheld as I share the steps I take to organize material quickly and write the text of an eBook. You will learn the importance of eliminating all distractions to ensure an excellent result in your eBook project. I am tired of struggling, Mialei. Where do I begin? Anyone who has stumbled through a writing project will find 6-Hour eBook to be understandable and helpful. Your next writing project will be easier for you to complete when you discover the best series of steps to complete the process. The past is not your fault! If your product creation effort has stalled, the fault is not your own. You might not know the best way to research a topic and write your thoughts. The time has come to forget your previous struggles and learn my proven method for writing a readable eBook that can be used in countless ways. Your Days of Frustration End Today! All of the risk is on me! I want to learn the easiest way to write an eBook! I know that my past attempts have left me uncertain of my abilities. I understand that my secure order, today, will open doors that I never dreamed possible. I know that this course is 100% legitimate. You have made this decision easy for me because of the iron-clad guarantee. Click the “Buy Now” button above, now, and then share your success story with me. I have spent many years perfecting my approach to writing eBooks of various sizes. For one affordable price, you will gain the benefit of my experience. Think of it this way: for this great price, you will learn how to create the central element in most information products. Purchase 6-Hour eBook now and allow me to walk you through the process of writing an eBook in 6 hours. To your writing success! P.S. 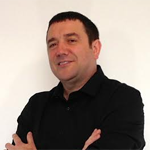 - If you have struggled to write an eBook in the past and gave up in frustration, that result is not your fault. 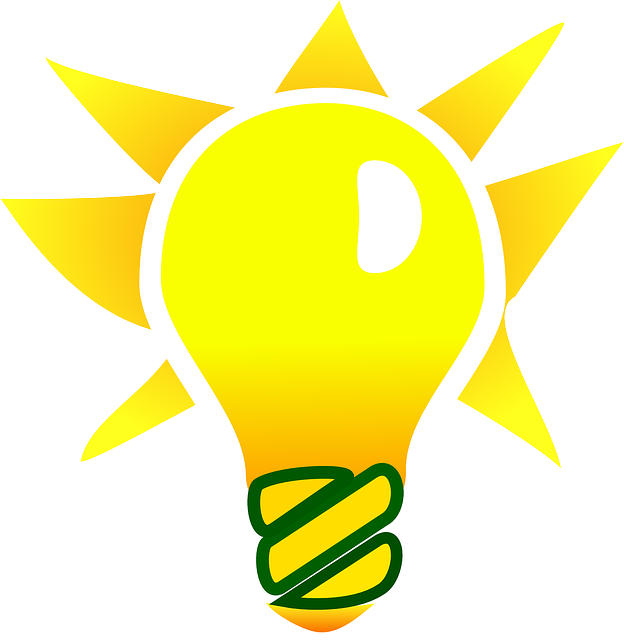 Allow me to share my innovative approach to writing an eBook, so you can complete your eBook! P.P.S – This is not a course filled with hype. You will learn to write effectively when you put the steps in the right order. 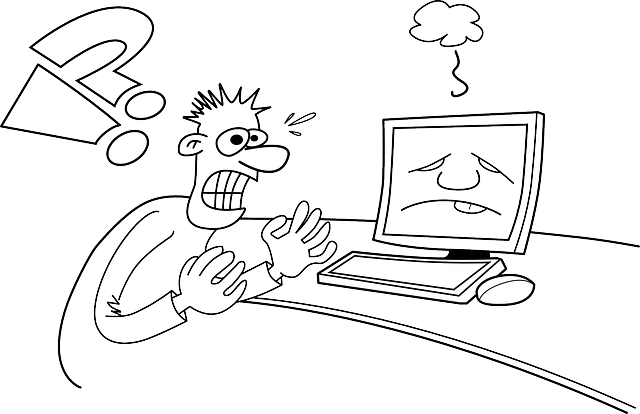 Producing information products does not have to be an exercise in frustration. Don’t hesitate any longer! Invest today! 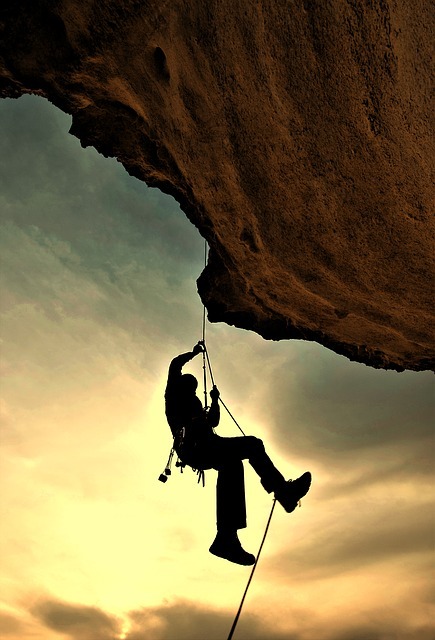 Take action and get on your pathway to success! 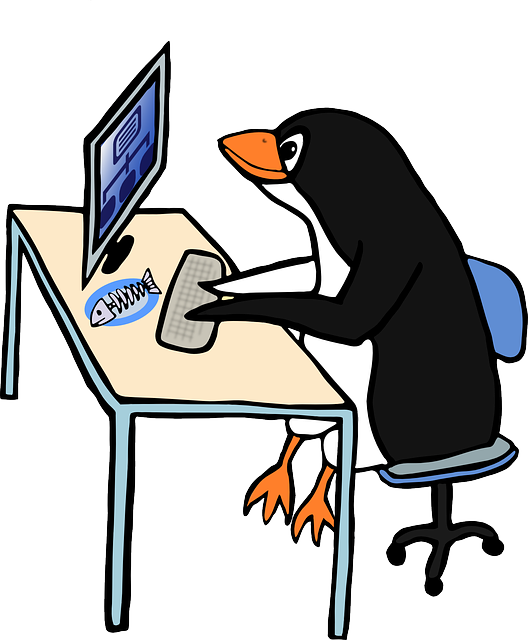 Please, Contact my support desk if you need assistance!